This week Kelly O’Connell from Cardiff in Wales tells us why she has been to North Hayne Farm in Devon 7 times!!! Her and her husband used to go pre kids, but now they take their daughter Sophia with them for their family holiday. Kelly loves everything about North Hayne from the animal feeding to the playroom, to the hot tub and the beaches near to the farm. 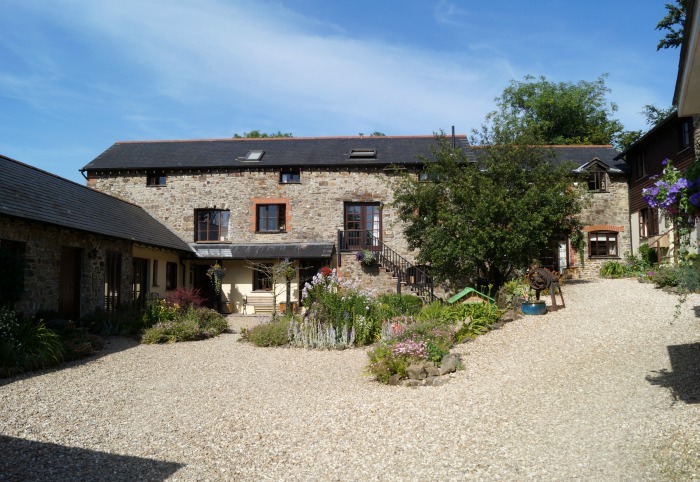 Find out why she thinks North Hayne Farm is a great option for a toddler friendly farm holiday in Devon. 1. Can you start by telling us a bit about your family? Myself, husband Richard and 23 month old daughter Sophia live in Cardiff. I’m a travel agent working for Thomas Cook/Co Operative travel and Richard is a fork lift truck driver working permanent nights so we value our breaks away and time together. Sophia is a massive animal fan (including Peppa Pig) and we are always taking her to our local farm where she can see and feed all the animals! We have been married for 6 years and discovered North Hayne Farm after we had been together around 17 months. We are lead to believe, by the owners Cheryl and Roger that they remember us because we were one of the first ‘couples’ to stay whereas they were used to mainly families staying. They had taken over the farm and cottages not too long before our first stay. 2. Where did you go on holiday with your baby or toddler? This was our 6th, or maybe even 7th stay at North Hayne Farm and cottages in North Devon. 3. How old was your baby or toddler when you went there? Sophia was 22 months when we last stayed. We drove from Cardiff (as always). It’s an easy 1.5 – 2 hour drive and located just off the main route through from M5 to Barnstaple, South Molton, Tiverton and many other stunning towns, beaches and villages. There are a variety of cottages. On this occasion we stayed in Katie’s Corner which is a 1 bedroom cottage with ample space for a small family like ourselves. 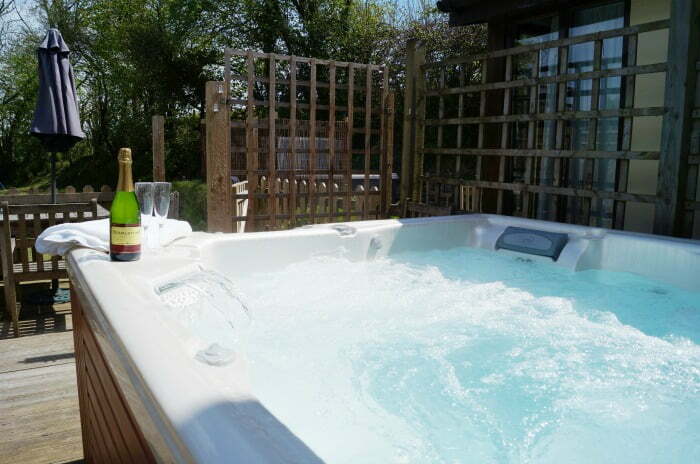 Every cottage has its own private hot tub so mum and dad can relax once the kids have gone to bed!! We have stayed in Jemima Puddleduck previously which is a 3 storey, 3 bedroom cottage, again with a private hottub and master bedroom with en-suite, double room on upper floor with additional bunk room and family bathroom. 6. What did you like best about North Hayne Farm? The thing we enjoyed best was the chance to see Sophia really enjoy taking part in something new and exciting. Having been numerous times before, we were used to the feeding etc but to see the excitement on her face and enjoyment that she had from taking part was great for us as parents. She really seemed to take to having a set routine away from the normal every day home/work environment and we really felt as a family this time was precious and invaluable. We also love the fact that there is a play/games room so we could go in where it was warm and dry and still be able to have fun without leaving the comfort of the farm. They will even arrange a childminder to sit with your children for a very small fee in the play barn for an hour while you sit back and read the paper or jump in the hot tub!! Heaven! The hot tub is also a plus for us. Cheryl can provide baby monitors so you can keep an eye on the little ones which is great for the grown ups to be able to have a little ‘me’ time! And finally, the cream teas provided on arrival are to die for!! Yum yum! 7. What did Sophia love best about North Hayne Farm? 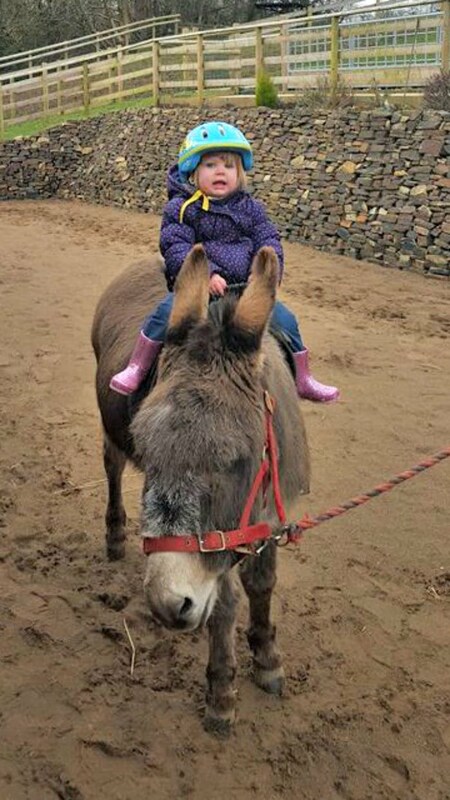 Sophia doing some horse riding! 8. What did you like doing in the local area? Are there any great baby and toddler friendly holidays you’d like to recommend? We have previously been to the Big Sheep, The Milky Way and Combe Martin Dinosaur Park which are local attractions but on this occasion they were closed and didn’t open until Easter. There is Quince Honey Farm in South Molton which has an indoor soft play area and cafe which is great if the weather is rubbish. We also visited Dartington Crystal which was around a 30 minute drive away where you can have your children’s hand or foot print made into a crystal souvenir. There are many stunning beaches in the area such as Combe Martin, Croyde, Instow and Lynmouth just to mention a few. There is also Exmoor zoo which is well worth a visit as it is smaller than most but better in our opinion! We also have our usual visit to Barnstaple which has an array of modern and traditional shops plus a great daily pannier market. 9. Did North Hayne Farm provide any baby or toddler equipment for you to borrow? Items provided included free cot, free highchair, free baby monitors, free bath seat, cot bedding (additional charge), stair gates (as many needed) socket covers and cupboard door latches or ties. There is also an array of games and dvds in each cottage for all ages (more in play barn should you want to swap them around) I should also mention that children’s bowls, cups, plates and cutlery are also all provided free of charge. 10. Why did you love your holiday at North Hayne Farm so much? Having been many times without any children, and now experiencing the place with a toddler, I can understand even more so why people return to North Hayne Farm time after time. There is so much thought and effort that goes into everything they offer. 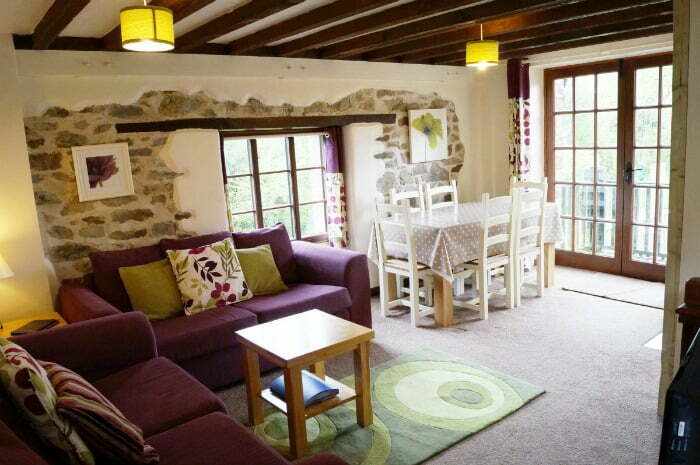 From the wonderful friendly greeting, to experiencing the feeding, donkey rides, nature trails, workshops, den building and outdoor play area plus the luxury of having the hot tub to yourselves and even receiving a massage or treatment from a local holistic therapist – all in the privacy of your own delightful cottage. They really have thought of everything for everyone here! We really are sad everytime we have to leave and are always straight on the case of booking the next visit! Without a shadow of a doubt, I would recommend this place to anyone no matter what the age (even if mum and dad are having a kiddie free weekend break!) It really is a place where the whole family can make many happy memories and truly honestly deserve the array of awards they have been given including Silver Visit Devon 2014, Gold family friendly self catering 2015/16, Mumsnet best 2014 and 5/5 on TripAdvisor!